Caring for your sensitive skin is difficult if you don’t use the right product that fits your skin’s needs. Dermablend Soap has been shown to be less irritating than other leading soaps that have harsh ingredients. Dermablend understands perfectly that you want only the best products on your pretty face. Our soap’s creamy formula contains natural extracts and Vitamin C that smoothens and nourishes your skin, plus our soaps are dermatologists-tested and hypoallergenic, so you can be assured, our products are safe and effective. Dermablend soaps pamper the skin with the goodness of nature’s bounty such as Papaya, Orange, Cucumber, Melon, Oatmeal, Tea Tree and Guava plants. In using these soaps, skin feels naturally moisturized, soft and supple with a delicate fragrance. 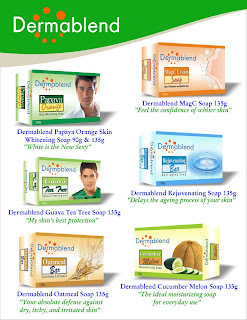 Nourish the beauty of your skin, choose from the different soap variants of Dermablend soaps: Papaya Orange (whitening), Cucumber Melon (Moisturizing), Guava Tea Tree (natural cleansing) and Oatmeal (Soothing exfoliant). Dermablend Cucumber and Melon soap is the perfect way to pamper your skin with the goodness of a formula that consists of natural effective moisturizers such as cucumber and melon. Cucumber has long been known for its hydrating and mild astringent properties that instantly soften and firm skin. Melon, on the other hand, is rich in antioxidants like Vitamins A, C and B-complex, which soothe, protect and nourish skin. 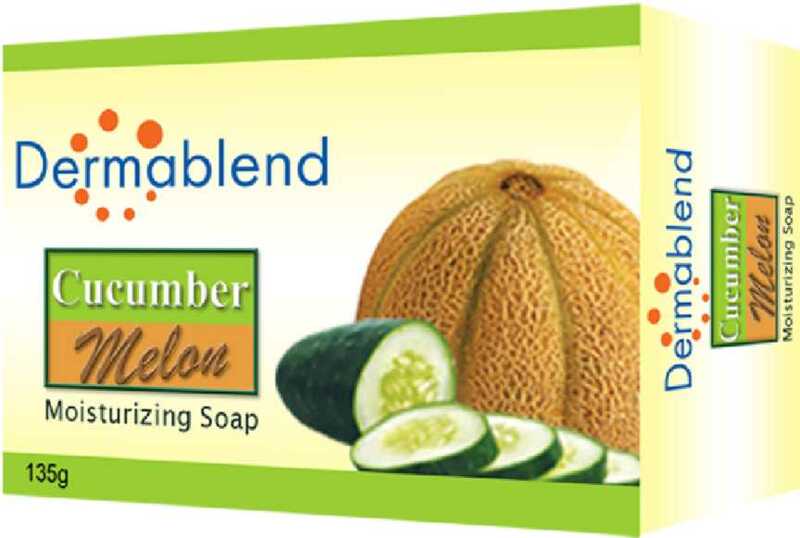 Feed your skin and let it drink nature’s goodness with Dermablend Cucumber Melon Soap! It’s time to put an end to your whitening soap dramas. With Dermablend Papaya Orange soap variant, you can now have beautiful fair skin without the dryness one receives from an ordinary papaya-based whitening soap. Dermablend combines the whitening power of Papaya extract called papain that effectively whitens the skin and infusing the soap with Orange extract—a naturally known fruit with skin vitamins that help moisturize for faster, safer and fairer skin. It is also nice to know that Singer/Actor Sam Milby not only endorses this variant, he actually uses this soap personally. He believes on the product so much that he even stocks on this soap on purpose. 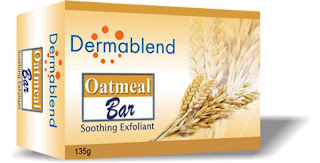 Dermablend Oatmeal soap captured the nourishing and exfoliating goodness of oatmeal oats. Packed with Amino acids and anti-inflammatory components to help soothe sensitive skin and relieve minor irritations as in dermatitis, eczema, skin rashes and the like. 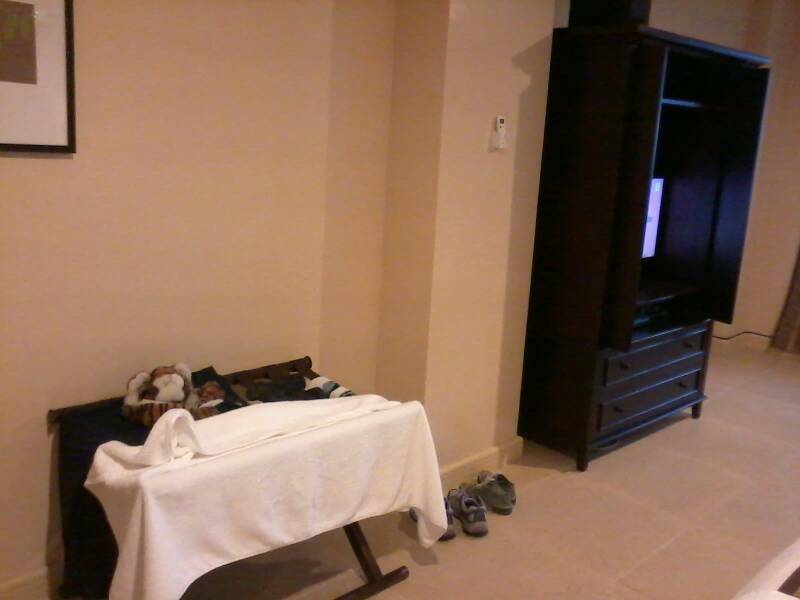 It can also help ease sunburn and itchiness due to excessively dry skin. It leaves a protective barrier to skin, thus preventing further moisture loss. 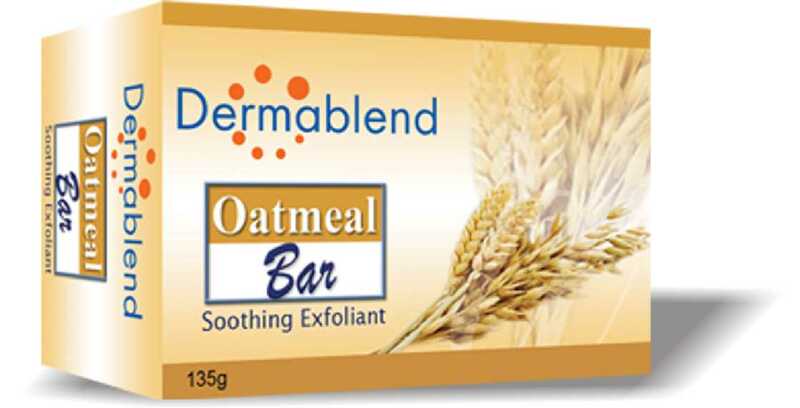 Dermablend Oatmeal soap locks in moisture after every bath. Dermablend Guava Tea Tree variant is a natural cleansing soap. 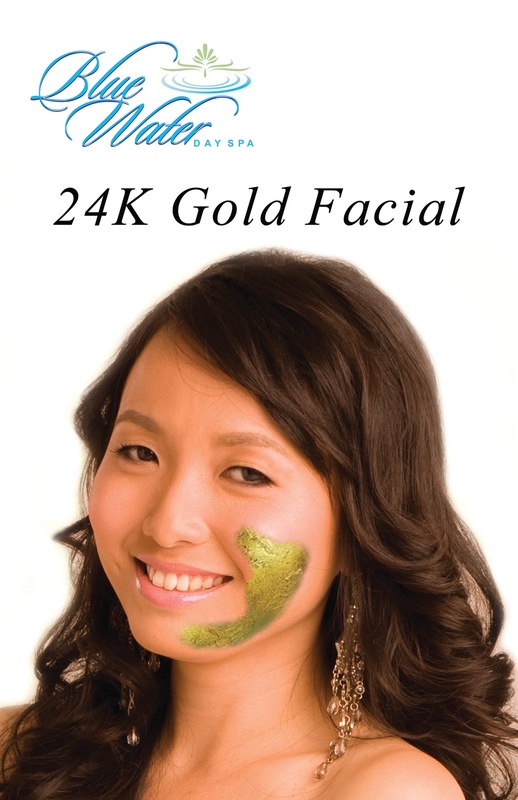 It uses the unique combination of Guava and Tea Tree extracts. It keeps odor-causing bacteria away, keeping you feeling cool and confident throughout the day. A superb skin care product and excellent choice for the whole family with its wide range of properties, including its refreshing action. It is an ideal germ-free soap with good skin penetration, and a natural remedy for skin irritations. May I also add that another actor Gerald Anderson endorses this soap variant? Off-cam, Gerald leads an active lifestyle, he enjoys playing basketball so this soap is perfect for him. I was able to try these amazing soap variants and I’d have to say they really have good results. 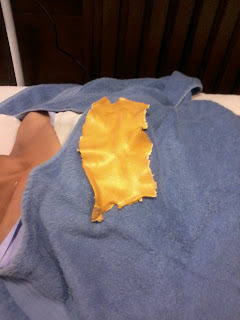 For one, they do not feel tight on the skin unlike other leading brands I’ve previously used. I also like the mild fragrance, just perfect for a soap bar. And they’re pretty affordable especially the Papaya Orange which is for whitening, at Watsons’ it is sold for P58 per 135g bar soap. Not bad, considering the whitening benefit one could get with regular use. 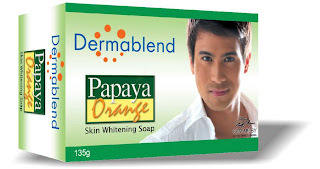 Speaking of Dermablend’s Papaya Orange variant, I’ve been hearing good reviews from people that it is Dermablend’s best-seller because it does not dry the skin unlike other leading papaya-based whitening bar soap in the market today. People I’ve talked to also find the Guava Tea Tree variant as their favorite for its lasting scent and natural remedy for skin irritations. 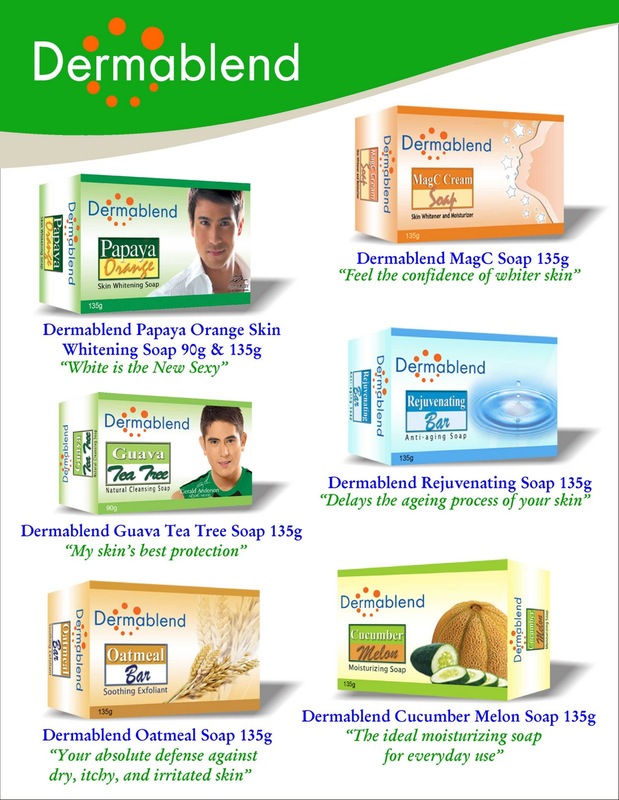 One last thing that I liked best with Dermablend soaps is that they are all proudly Philippine-made. So there you have it, four of Dermablend Soap’s variants made for every skin type. Always remember that the products your mom or older sister or brother use may not necessarily be the best for your skin. Choose from the four variants the one that’s best for your skin type. Use Dermablend soap because it is specially formulated for sensitive skin. Dermablend soaps are hypoallergenic and clinically tested to be mild, so you know they’re safe to use. Start using any Dermablend soap variant to stay clean and fresh all day! It’s high time to treat your skin with some TLC and say “I heart my skin!” loud and proud. Disclaimer: I am not compensated for this blog post. Opinions expressed are 100% my own. This is an honest Dermablend soap review for my blog. The synopsis caught my attention: Ocean Heaven is a family drama which features a father- Sam Wong (played by Jet Li), who is solely taking care of his autistic child- Dafu. Wong finds out that he has liver cancer and has a few days to live. Not only does Wang have to cope with his own suffering and impending death, he also has to deal with the heartache of leaving Dafu with no immediate family. This heartwarming film shows the challenges of being a single parent and how parents, even on their last days, would do anything just to ensure the safety and happiness of their children. We were surprised to see Jet Li in this movie because this is the first to cast Li in a non-kung-fu film where he won the 2010 Wen Zhang Best Actor Award. The movie was also recognized by the Shanghai Media Awards, CCTV Movie Channel Media Awards 2010 and Golden Goblet Award. In July 2011, Li even named one of his charity projects as Ocean Heaven Project to help children with autism, celebral palsy and other disorders. Autism is a lifelong disorder. Early intervention, occurring as early as the first two years of life, has been shown to improve language and socialization, but continued intervention and education throughout the course of the individual’s life is beneficial. The film tackles the hurdles a solo parent with an almost grown-up special child had to endure . The film spells LOVE all throughout the ending. 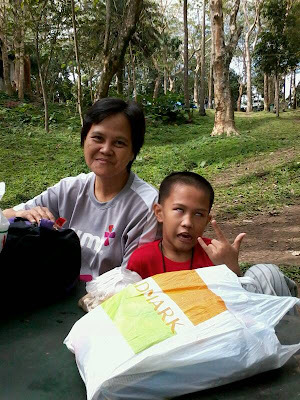 I know most parents would be able to relate to it even those who do not have a special child. Kyle, my adopted nephew (who has ADHD) also enjoyed the movie. It reminds him of his own “stubbornness” and “funny antics”. He even asked if he’s kind of the same with the lead son Dafu. But I told him even if they’re both special children, they have different conditions & needs. 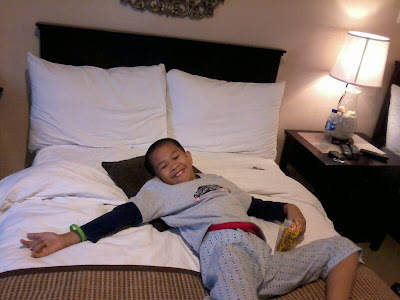 He’s way ahead in terms of understanding than autistic children like Dafu. I told him he should be grateful of his own gift, just like Dafu’s natural affinity to water (he’s an excellent swimmer) in the film, Kyle excels in the arts. Catch this film in videos (if it is available) or research it on the net. It is definitely worth your time. Although you know exactly what will happen towards the ending, tears will fall & laughter will be heard as you watch this film. And this film is dedicated to ordinary parents with extraordinary love for their children. Special thanks to Spring Chinese Film Festival, Ateneo Celadon organization and Shangrila Plaza mall for free film showing such as these. I once read about something that says you should find time to stop and smell the roses. But hey, who wouldn’t want to receive a whole bouquet of roses? Even as a kid, girls are invariably weaned on the concept of a princess awaiting their prince by the castle window. Then, the knight in shining armor comes along with a bunch of roses on hand, giving these delicate flowers to the princess (all girls wanted to become princess at some point in their lives, don’t we?). Before I could go on any further, allow me to stop here because that’s another story. The point is that all girls or ladies in general would appreciate when someone buy roses bouquet or even a single rose for them. During our teen years, girls would love to play “he loves me, he loves me not” by means of pulling each petals, unmindful of the thorns that surrounds the beauty of the rose. When we go to spa, don’t we all love to bath in milk in a Jacuzzi lulur surrounded by petals of roses? How about getting a foot spa treatment with our foot literally soaked in bubbles with roses on them? Guys read this: Based on research, a woman can be tamed by sending her flowers, particularly roses. And I do not mean any ordinarily picked roses, but the more fabulous it seems the better. One sure fire to get her heart is to order valentine’s gifts online through PHGifts.com. 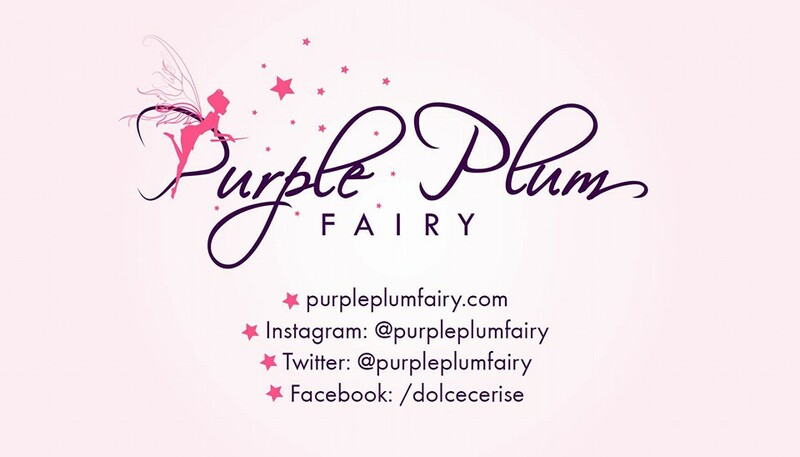 For those who do not know yet, they are Philippines’ online gifts and flower shop. 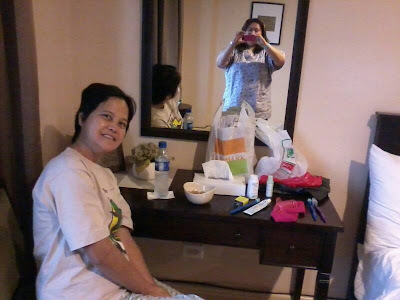 It is for your convenience, no need to get out of the house and look for a flower shop in Manila, with PHGifts, roses delivery is made within your reach. Items are reasonably priced and since they are a reliable and secured online gift shop, there’s nothing to worry about. You’re sure to get what you’ve paid for. They’ve also got everything covered because they have flowers and gift delivery anywhere in the Philippines. So, this coming heart’s day, let her know how much she means to you, order valentine’s gifts online at PHGifts.com. For my fellow singles out there, we all know that the dreaded V-Day or so-called Valentine’s Day is fast approaching. If you’re in a relationship, it is supposed to be a day you feel excited about. Well, that’s because you know something special is up for you if you’re in a relationship with someone. But if you’re like me, you kind of hate it, and in my case, it’s because it reminds me of my ticking biological clock (that I need to bear a child soon or else I’d never experience being a Mom) and it reminds me that I’m way past the calendar and it’s about time I walk down the aisle. Personally, I actually had no problem with that. But what I abhor the most was the nudging of people, they kept asking me when I’d be married or when I’ll have a child of my own. So whenever I see people wearing red with hearts on Valentine’s Day, I know they looked quite cheesy and corny (or it’s just me sourgraping?) but I’d like to believe that Valentine’s isn’t just for lovers. So I figured, for a change, why don’t I make someone feel special on Valentine’s? Since it’s a leap year (A little background on most Filipinos’ belief tells me that when it is a leap year, women are allowed to court guys or express their love without being reprimanded for being liberated etc. ), I seem to have a small plan of surprise for a guy friend. As I was using Facebook the other day, I had just laid out my plan. I was able to chat with an old friend of mine (yeah, way back in elementary days) and I asked for his details. I wanted to give him a little surprise come valentines. No, I don’t have any hidden desire or something, just an old friend saying hello and greeting him on V-day. I knew perfectly that he’s single now and so I don’t have to think about someone getting jealous or anything like that. I decided I’m going to get him something I’ll purchase online. I don’t have the guts to give him my present personally (because I feel he might misinterpret my message if we ever meet) so I need to find ways to make my plan a reality. I stumbled upon PHGifts online. 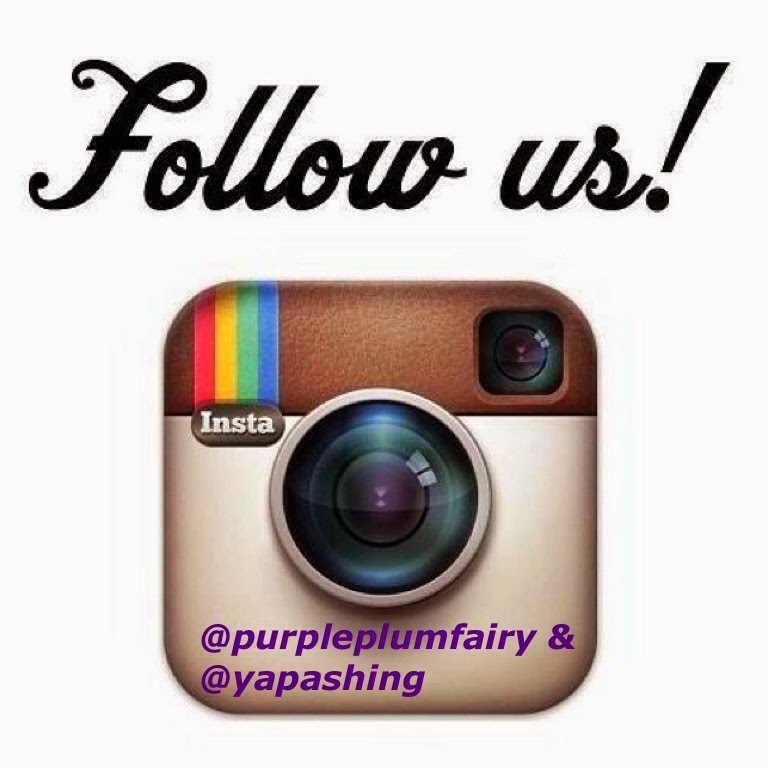 As their name suggests, they are Philippines’ online gifts and flower shop. I guess this is the best way to send him my special present. I could buy roses bouquet and order valentine’s gifts for him as well. My friend (Sorry, I dare not mention his name on my blog. He knows my URL) is living a jet setter’s life as he gets to travel every now and then. 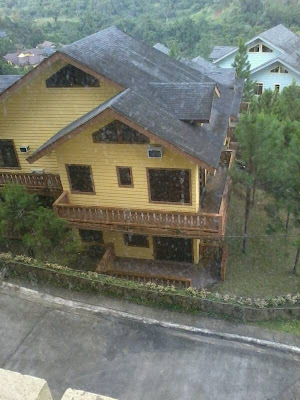 But he’s based in Cebu City. 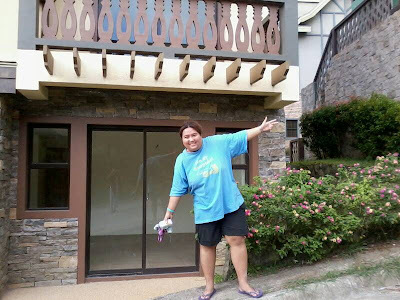 I am glad to know that with PHGifts.com flowers and gift delivery anywhere in the Philippines is possible so sending him my present isn’t a problem anymore. My friends even recommend PHGifts.com because according to them, it is a reliable and secured online gift shop. Their boyfriends and husbands preferred buying online than any other flower shop in Manila because it is more efficient and convenient. Imagine with just a click of the mouse, you’re able to have fresh roses delivery right at his or her own doorstep? I’m no longer bitter about V-Day by the end of this article. Why? Because I know pretty much I’d be making someone else’s day. By surprising a male friend with a bouquet of fresh flowers and a special gift, I know even if I won’t be seeing him in person, I have come across the message that I treasure our friendship, tested through time and space. Ever sent someone or received flowers from someone on Valentine’s Day? They all spell L-O-V-E in bold letters. These are special occasions where people open up and put their hearts on sleeve as they celebrate the hearts’ month. We all anticipate Valentine’s Day because it is these special times when we feel the most loved, aside from Christmas Day. People from all over the world celebrate this season of love with a bang, some even having events for couples such as the famous lovapalooza. 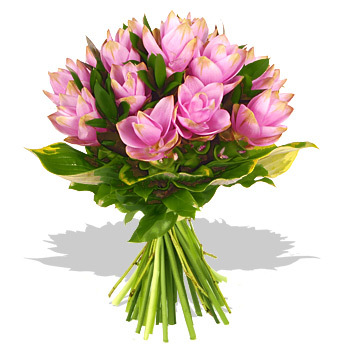 Why don’t you send someone a gift or a bunch of flowers using an online shop? 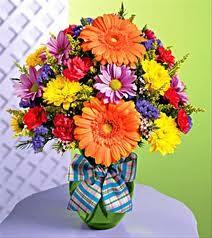 PHGifts is one of the leading online flower and gift shops in the country today. With a reliable and secured online gift shop, details and information on your credit cards and billing statements are safe. 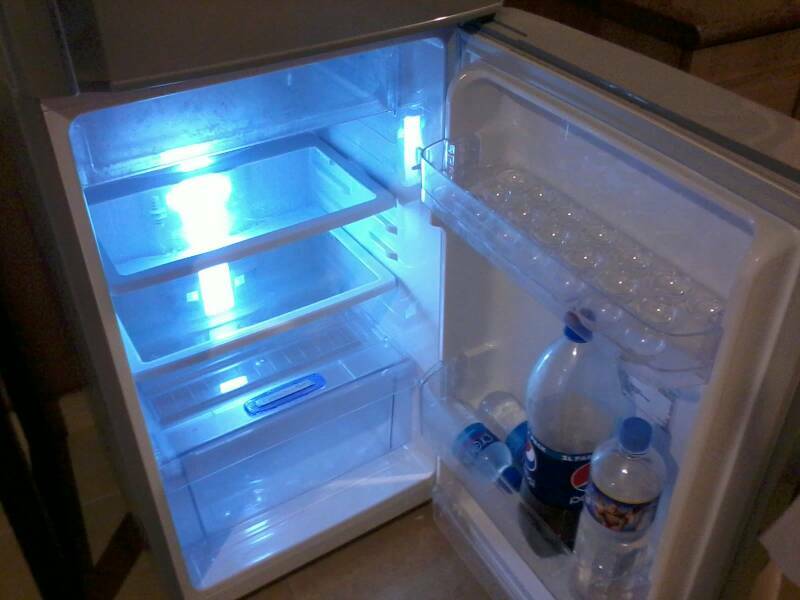 It is very convenient. 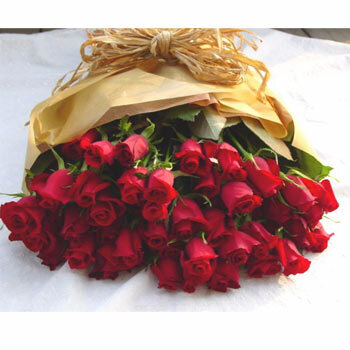 You can just buy roses bouquet for your loved one or order valentine’s gifts without leaving your house. 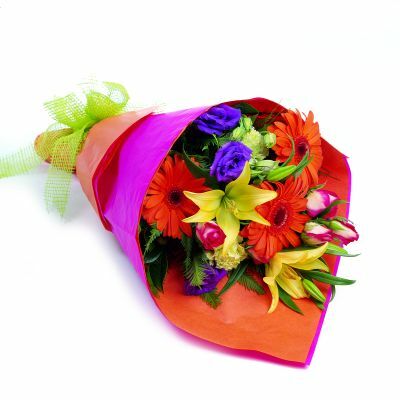 Unlike the traditional ones where you need to go out and head for a flower shop in Manila, orders could simply be made in a few clicks and you’re done. 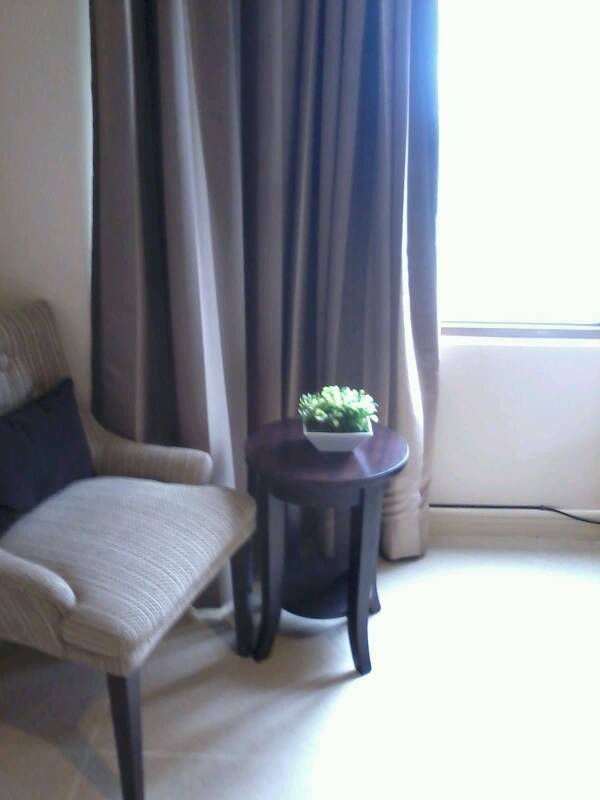 What’s more, they have flowers and gift delivery anywhere in the Philippines. So even if she lives in Tawi-tawi or the northern part of Batanes, she will feel your love if you send her flowers on the V-Day itself. They practically have roses delivery everywhere! Roses or whatever gift it is that you may have sent her will be delivered right at her doorstep. All you’ll ever have to think about is how she will react or how she will be thanking you with such thoughtful act you have just done to make her feel your love on this special day. Remember, it does not matter how far she lives or how small your gift may be, what matters most is the effort you’ve given and the thought that you wanted to make her smile. 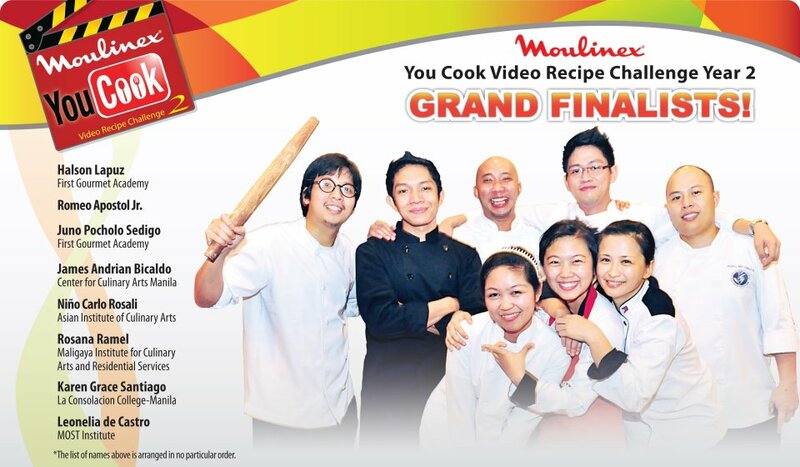 The Moulinex You Cook is a culinary competition where entries are submitted in video clips showing the ingredients and procedure through a cooking video using Moulinex food preparation products. This contest is open to currently enrolled Culinary Arts and Restaurant Management students within Metro Manila aged 18 years old and above. Here the contestants prepare their dishes under time pressure. The judges checks out the works of the participants. The judges make their comments on each participants' dish. Anyone of the 16 Semi-Finalists has the chance to win this title. The voting system will close on January 27, 2012 at exactly 12 midnight. The participant who garnered the highest number of votes will be proclaimed winner and shall receive prizes from Moulinex valued partners and sponsors. From the 20 collected valid video entries for Moulinex You Cook Video Recipe Challenge 2 from 9 participating schools, 16 top qualifiers were screened and evaluated by three qualifying judges, namely Mr. Noel Rama, Ms. Rory Subida and Mr. Laurent Casteret. 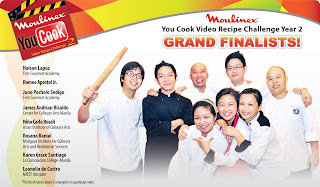 Cooking enthusiasts like me are looking forward on January 28, 2012 where 8 Student Chefs from top schools in the Metro will be having a cooking showdown as they vie for the Moulinex You Cook Video Recipe Challenge Year 2 Grand Winner. Up for grabs for the Grand Winner will be Php 40,000 from Moulinex, Stay and Learn Program from Hotel InterContinental Manila and a demo tour with the Moulinex Marekitng Team. The school represented by the winner and his or her mentor shall also be receiving lots of prizes from the participating sponsors. I'll be keeping you tabs on what will happen in the Grand Finals! Good luck to all our eight Finalists! Here are the lucky Grand Finalists with the judges! Cheers everyone! Special thanks to Ms. Norma Galera for providing us the photos and Moulinex for the invites. 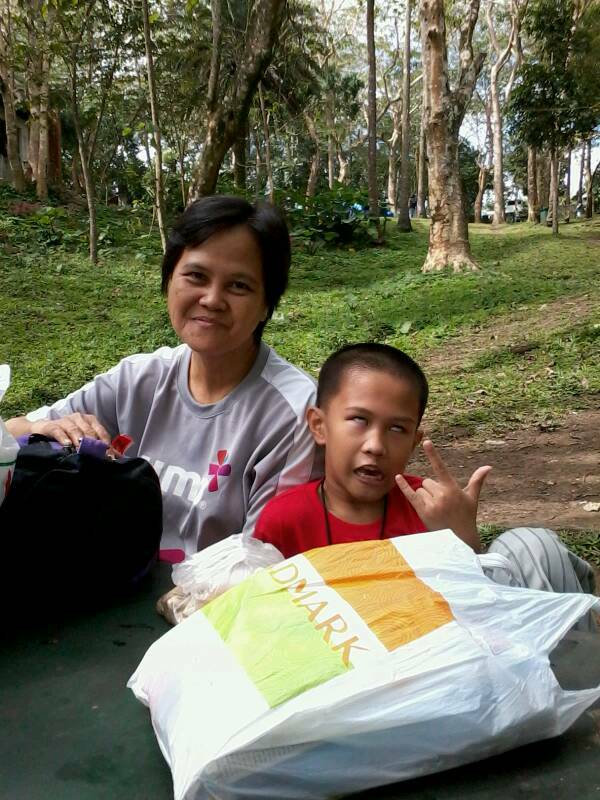 We had a wonderful bonding last week. It was just the 3 of us: Kyle, me and my mom. 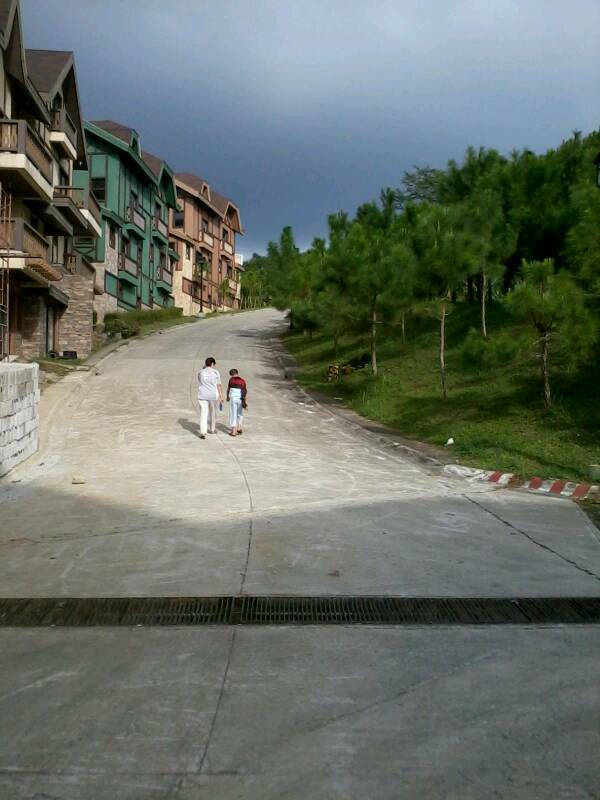 We headed for Crosswinds' Grand Quartier after a short picnic at Picnic Grove. Kyle & I would've wanted to try the zipline, however since it was a weekend, it actually cost more. Here's a tip: you could save more money if you could go on weekdays + that could also save you from the hassle of lining up. So Kyle & I decided we better try the zipping some other time. At the time we were there, the line was way too long and with the sun up, one might even suffer from dizzyness. We eventually settled on a bench under the tree, just across the hanging bridge. So much had changed since the last time I was here - back in high school, around 1997. 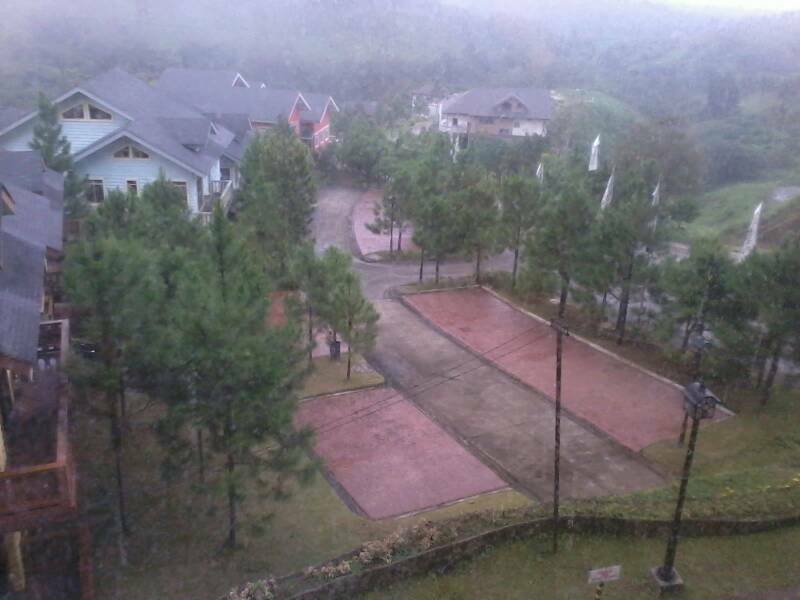 The Picnic Grove now looks like Baguio City's Mines View. 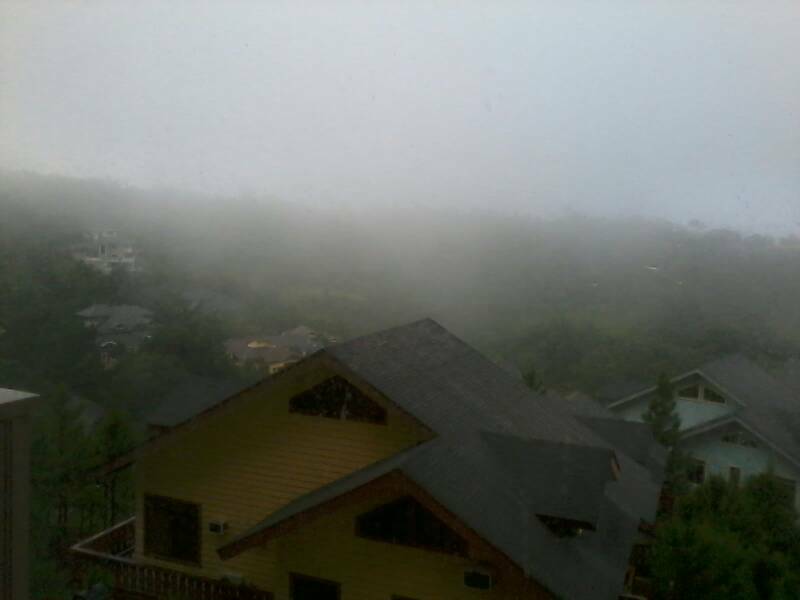 Gone are the days when you could just go there, enjoy the Taal Volcano's majestic view and simply relax. Nowadays, there are a lot of people hovering you offering either a boat ride or a horse ride (both rented for a fee). I mean, I'd like to assume that guests/visitors would come because they'd like to bond with family amidst the beauty of Tagaytay. There's also a shopping center, fish spa with foot massage ( yup, just like the ones @ Manila Ocean Park) and loads of eateries oe food kiosk/stalls abound. All of these only mean one thing: more garbages will surely be with it. To be completelt honest, the addition to this supposedly tourist destination can truly be a wrong move. 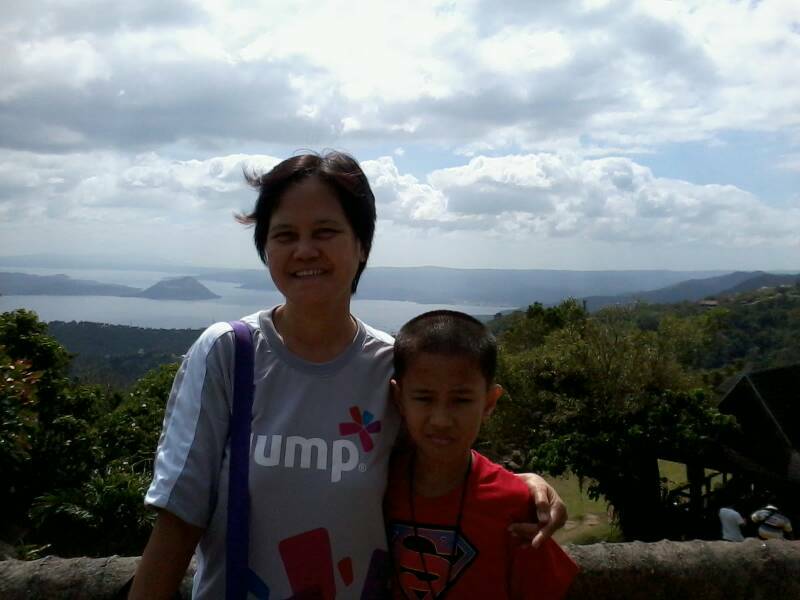 Charging guests at 50 Php per head & finding out later that all you'll get are all rubbish, I'd say it is tantamount to paying for the Taal Volcano as a backdrop on your photos! I won't be surprised if one day, Tagaytay Picnic Grove will eventually lose its charm. Anyway, despite the disappointing trip to picnic grove, we had fun at the Crosswinds. 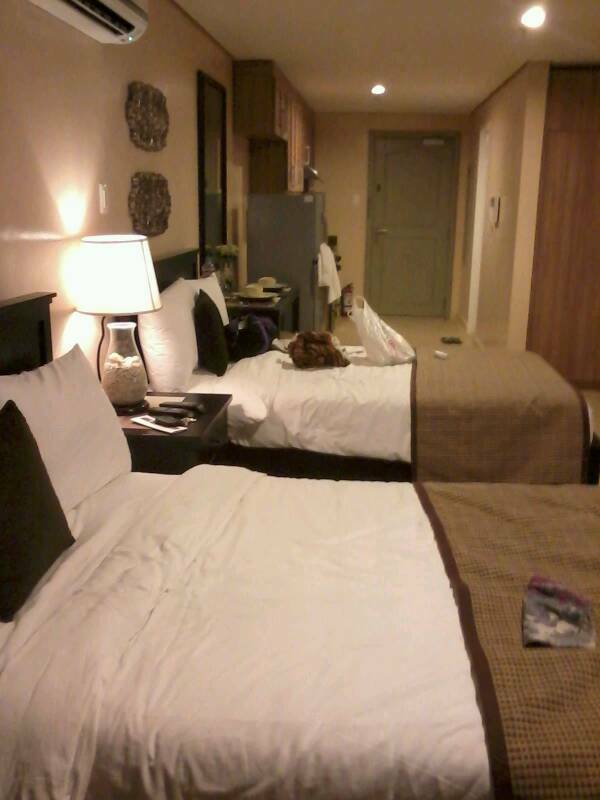 It was our second time at the scenic Swiss village, but it was our 1st time to stay overnight at the Grand Quartier. 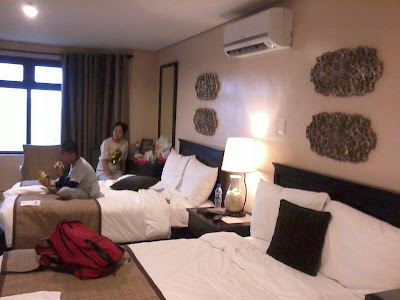 We had stayed at the studio room: we had a kitchen + fridge etc. But we did not had the chance to cook because we were too tired from all the walking that we had. We also ditch our plan to swim at the pool because it was freezing cold and Crosswinds did not have an a available shuttle service at the time. It was pure bliss bonding with Kyle and my Mom. 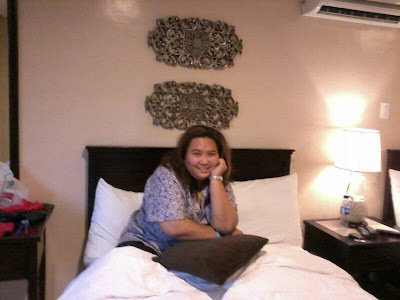 We surely had a great weekend despite the glitches. There's always a Koala's March for you, it comes in different sizes and in chocolate and strawberry variant. What do you do when your child suddenly goes home from school feeling gloomy after having a really bad day at school? Like he had a spat with a friend or that he got a really low score in a quiz. Each time it happens to Kyle, like a typical mommy, I immediately put down whatever it is that I am doing just so I could attend to him. I'd cook his favorite meal (he arrives from school after lunch) and makes sure to understand his not so typical "quietness". I mean, of course, as much as I want to know right away why he's gotten the blues, I wouldn't dare ask him, not after he's had his meal and only when he's ready to talk about it. 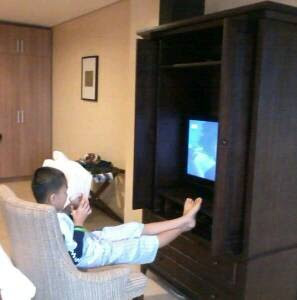 Mommies, you see, our children also had their "down times". Our job is to make sure that they learn to pick up themselves and learn how to chase the blues away on their own. They should learn that although life isn't always a bed of roses, it wouldn't also be nice if life had no challenges. All they should do is to always think positive and begin to see life as something that's not half empty but rather half full. * Tell him the stories you've had of him when he was small. It never fails to make him smile as he tried to reminisce on all the wonderful time he had in kindergarten. With all the bloopers and funny antics he's made, it'll definitely give him the positive vibe he needs. * Have a relaxing CD or music played. You could even try to give him a massage, just like you used to do when he was still a toddler. It could help him ease his heart's pain. *Open a box of Lotte's Koala's March. Chocolates had been known to release the so-called "happy hormone" or endorphins. With 125 Koala designs in every pack to enjoy, Koala's March will take away his mind off from whatever it was that happened in school. Imagine a bunch of Koalas printed on delicious, flavor-filled biscuits. Your kid will surely love to see different Koalas in happy smiling faces. Each bite will bring him happiness with its luscious chocolate cream and strawberry flavors bursting on each bite. Your kid will enjoy Koala's March with a glass of warm milk and pretty soon from all the stories, he might even doze off to sleep. And when he wakes up, he'll be ready to face another day. I can assure you, he'll feel much better. Donate your old mobile phone, help save the Philippine Tarsier and get the chance to win a Nokia C6! Nokia Philippines, Globe Telecom, Ayala Foundation and Philippine Tarsier Foundation (PTFI) recently launched I-recover, I-Recycle program that aims to heed the call for the recycling project aimed at creating awareness on the importance of saving the environment and its endangered species. The said program aims to make people become aware of proper waste disposal and its main vision is to attract the general public, including Globe and non-Globe subscribers, as well as Nokia and non-Nokia users, to donate old mobile phones by bringing them to the cellular phone recycling bins located in Globe stores and at all Ayala Malls nationwide. For every old mobile phone collected for recycling, Nokia will donate 100Php to the PTFI to support programs for preserving the Philippine Tarsier and its habitat. Anyone who donates a “complete” mobile phone (with battery) will also receive a Nokia eco-item and a chance to win a Nokia C6 smartphone in a raffle draw. The program will run until August 4, 2012. Participants may visit any of Globe’s 140 stores nationwide or any of the Ayala Malls. Hope you guys will be able to help save these cute little tarsiers and be able to dispose of your old mobile phones properly.